Fruits are undeniably one of the best foods available on this planet. There are various fruits that are not just appealing to the eyes, but to the mouth as well. There are also some who may have undesirable look but delicious taste, and vice versa. One of those fruits who have appealing looks as well as taste is the rose apple. Not only that it is a delightful fruit, also, the amazing health benefits of rose apple are all beneficial for the betterment of the overall health. This fruit is truly nature’s wonder. 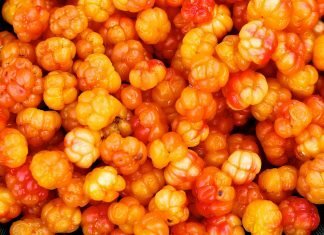 If you want to know more about this fruit, feel free to give this article a read. Rose Apple: What is this? In spite of the name, the rose apples are not that much related to either the rose or apple. In the actual fact, rose apple is much closer to guava, and even though there are a lot of species, the most common to be eaten is the one with the scientific name –Syzgium jambos. Furthermore, rose apple is also a shrub or a small tree, which is actually native to the continent of Southeast Asia. However, it was spread all throughout the world as one of the ornamental plants. However, rose apple is now considered to be an all-encompassing species. 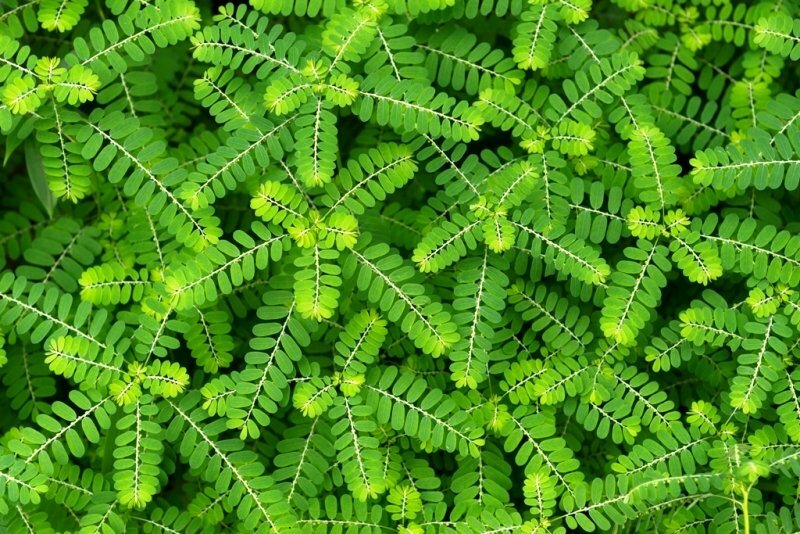 This is since it can propagate and grow very much quickly, which even overtakes the local flora. 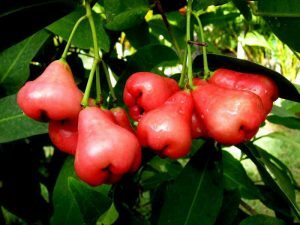 Moreover, rose apple is not its only name, it has dozens of name that varies from what country you find them. For instance, jambu is the famous name of the fruit, this is quite similar to jamun. We know that jamun is far way different in various parts of India. Rose apple is very similar to guava. However, it has a very diverse flavor, texture, and odor. Furthermore, another difference is that the rose apple has only one or two seeds in its open and central cavity, while guava has lots of them. In the field of culinary, the rose apple is useful for the appearance of the food. Rose apple is safe to eat even though it is raw, the same as apples. It is also used in many types of desserts and dishes. 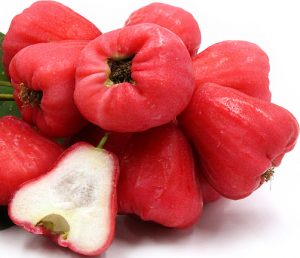 The rose apple is rich in nutrients like vitamin C, vitamin A, iron, calcium, and protein. Furthermore, its bark also has an alkaloid compound namely Jambosine. This compound has a therapeutic property that helps fight diabetes. The organic compounds like friedelolactone and betulinic acid are also in the fruit. Additionally, rose apples have an insignificant amount of sodium and cholesterol, which makes it even much healthier. Helps in boosting the immunity: the volatile and active components of the rose apple are beneficial for their anti-fungal and antimicrobial properties. Research actually shows that the fruit is beneficial in protecting the skin against various infections and may boost the strengthening of the immunity in contradiction to infectious diseases. Hearth and cholesterol health: the combination of nutrients, as well as the fiber content of the fruit, are beneficial in reducing the levels of cholesterol. This is significant in reducing the chance of various heart illnesses, just like stroke and atherosclerosis. Helps in reducing toxicity: the decoctions coming from the fruit are useful as diuretic substances. 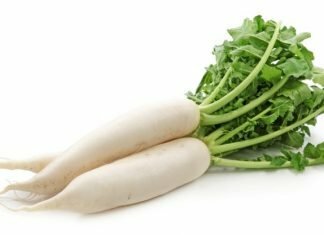 This helps in clearing out the toxicity of the kidney and the liver. This is while boosting the health and the metabolic efficiency of the body as well. Helps in preventing cancer: the active organic compounds, as well as the vitamin A and vitamin C content in the fruit, is beneficial in the prevention of cancer. In fact, studies show that the fruit has a significant effect on the prevention of breast, prostate, and other types of cancer. Helps in digestion: the fiber content of a rose apple is beneficial for the regulation of the passage of food to the digestive system. Thus relieving constipation and some other health conditions. 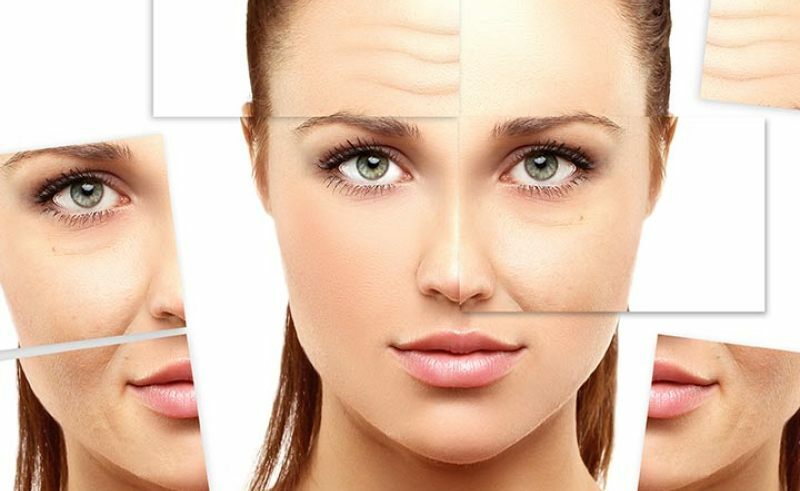 Helps in controlling diabetes: the alkaloid compound, jambosine in the rose apple are beneficial in regulating as well as blocking the starch conversion into sugar. This may be an essential development for the diabetics as well as those who are at risk of diabetes.